Generally most herbs have antioxidant properties and the green parts supply chlorophyll (which enhances the body’s ability to produce hemoglobin and therefore increases the delivery of oxygen to cells). A caution to be aware of – medicinal doses of herbs are to be avoided during pregnancy unless following the advice of an expert. Interesting: Holy basil (tulsi), originally from India, is considered a sacred plant by the Hindus and is often planted around Hindu shrines. Its name means “the incomparable one” and is used for treating cold, flu, diabetes, asthma, bronchitis, earache, headache, upset stomach, heart disease, fever, viral hepatitis, malaria, and tuberculosis. Also used for mercury poisoning, to promote longevity, as a mosquito repellent, and to counteract snake and scorpion bites. 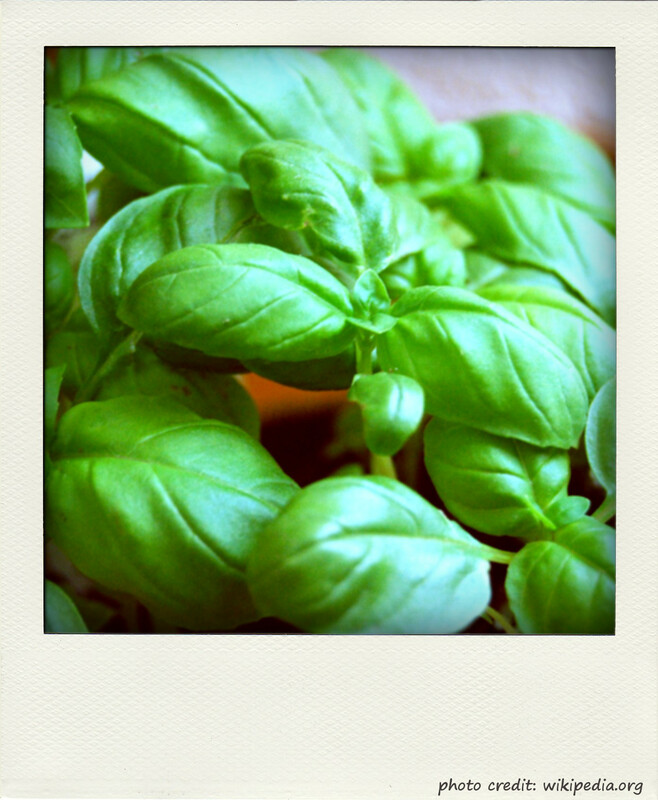 Who knew basil was such a wonder plant! p.s. : The words in blue contain a link to the Glossary, where you can check the meaning of some terms used in the post. This entry was posted in Nutrition & Recipes and tagged Ayurveda, basil, flavonoids, food, recipe. Bookmark the permalink.